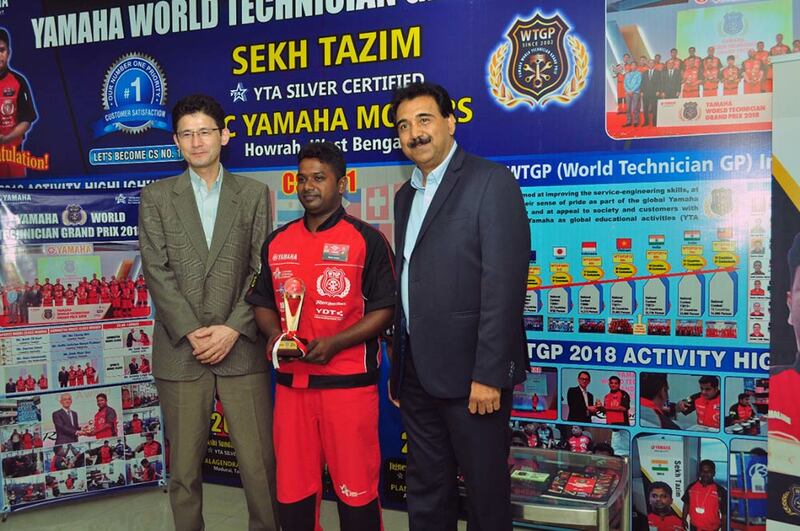 With an aim to further enhance the skill sets of its technicians, spare parts managers and service advisors, India Yamaha Motor Pvt Ltd. (IYM) conducted the National Technician Grand Prix (NTGP) 2018 and National Parts Manager Grand Prix (NPGP) 2018 at the company’s Surajpur plant today. The competition aims to develop superior technicians with an in-depth skill of troubleshooting and customer support. The 9th edition of NTGP this year has witnessed participation from 2493 contestants nationally in the “technicians” category. In addition to it, another category of “Service Advisor” has been added to the NTGP in order to strengthen the delegation of roles at the dealership levels with an objective of creating “Kando” (i.e. a feeling of intense excitement and deep satisfaction) to Yamaha patrons, wherein 1130 contestants participated nationally for the year. Yamaha is delighted to host another successful NTGP event at its Surajpur plant today. Abiding by Yamaha’s corporate mission to create ‘kando’, the brand enhances exciting experience not only for its loyalists but also the employees who have year-on-year out-numbered the participation at this event. Yamaha’s constant endeavour is to offer exciting product line up to the customers along with flawless after sales services. With titles like NPGP and service advisor, the brand reiterates its promise to provide world-class products and services without compromising on the learning and experiences it has gathered over the years.